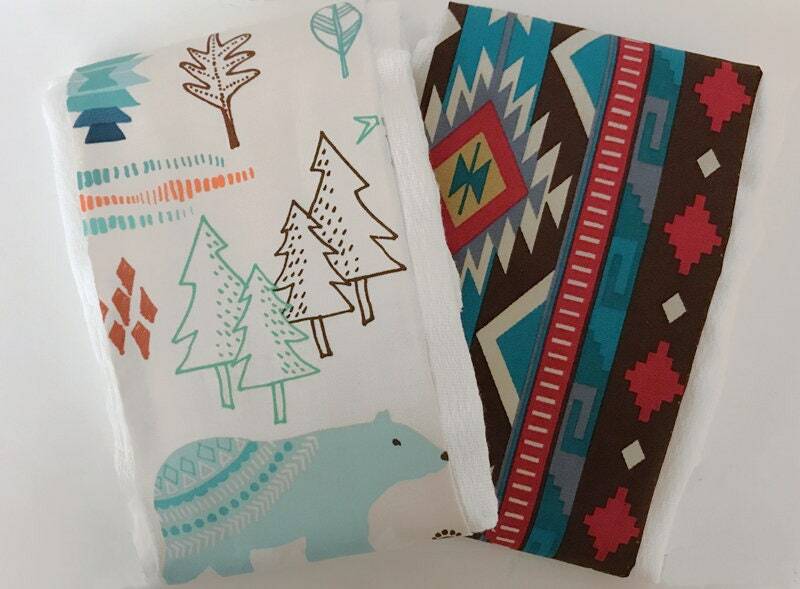 Set of 2 burp cloths. 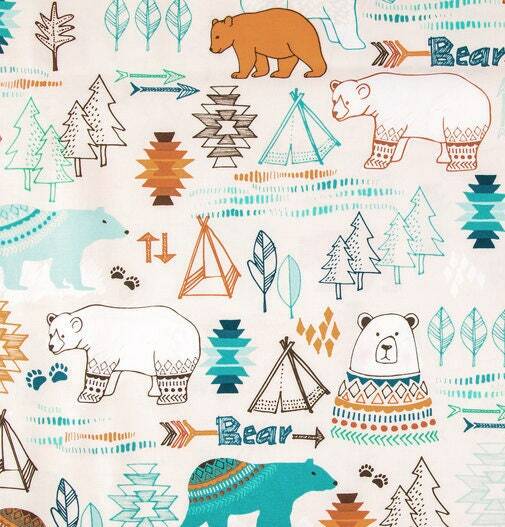 What better way to clean their little messes in style! 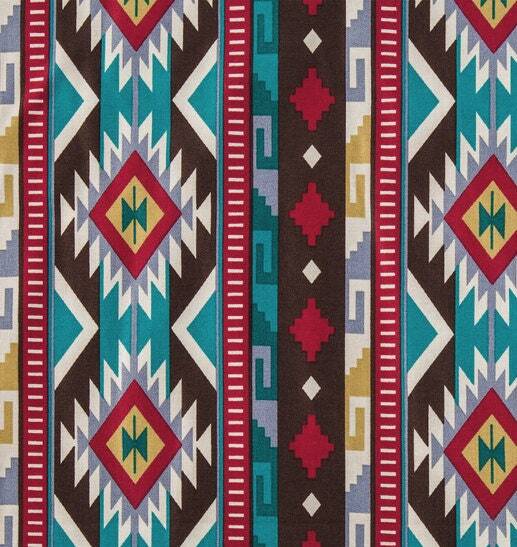 Includes one Sweater Bear print and one coordinating Aztec pattern print burp cloth. 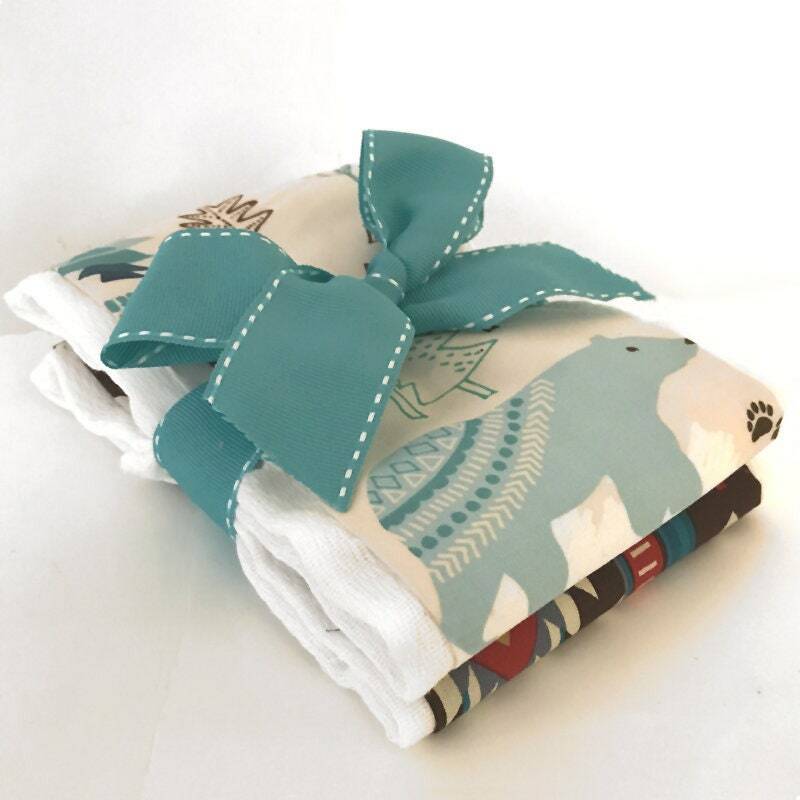 Sweater Bear Aztec burp cloth set is a very popular and unique gift the new mom will love to receive at the baby shower or as a new baby present!